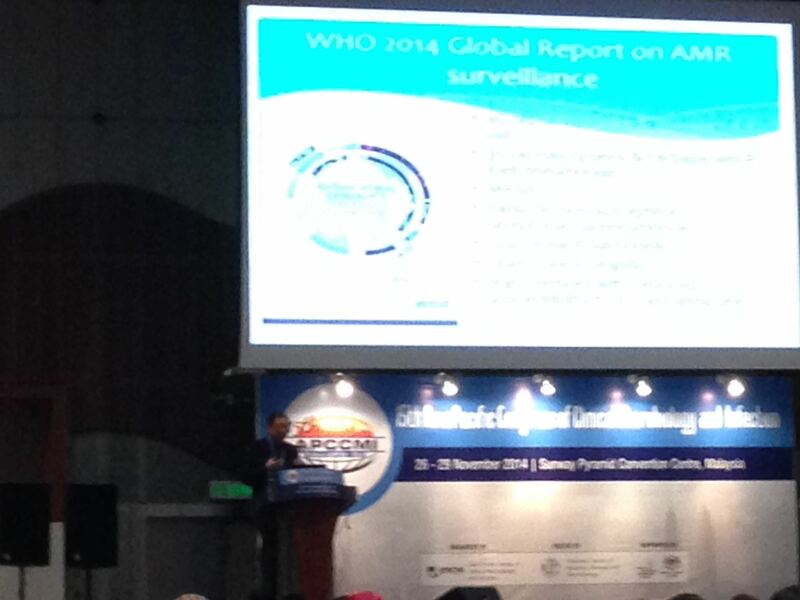 Currently attending the 15th APCCMI, which is held at the Sunway Convention Centre in KL, Malaysia. 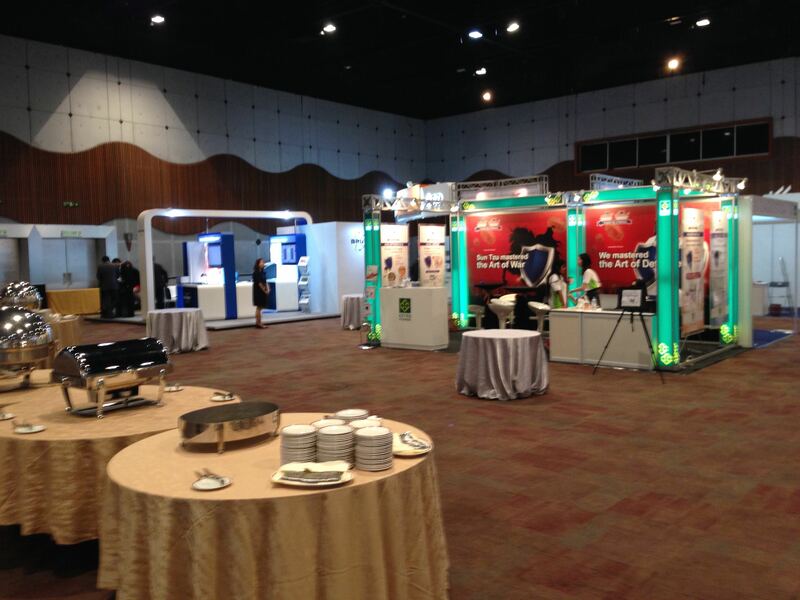 The conference is currently in its 2nd day, and will end on Saturday noon (29th November 2014). It brings together many clinician and researchers in the region who are focused on infectious diseases, particularly antimicrobial resistance. Antimicrobial stewardship is a big part of the conference this year. Plenary lecture given by Prof Victor Lim from Malaysia. 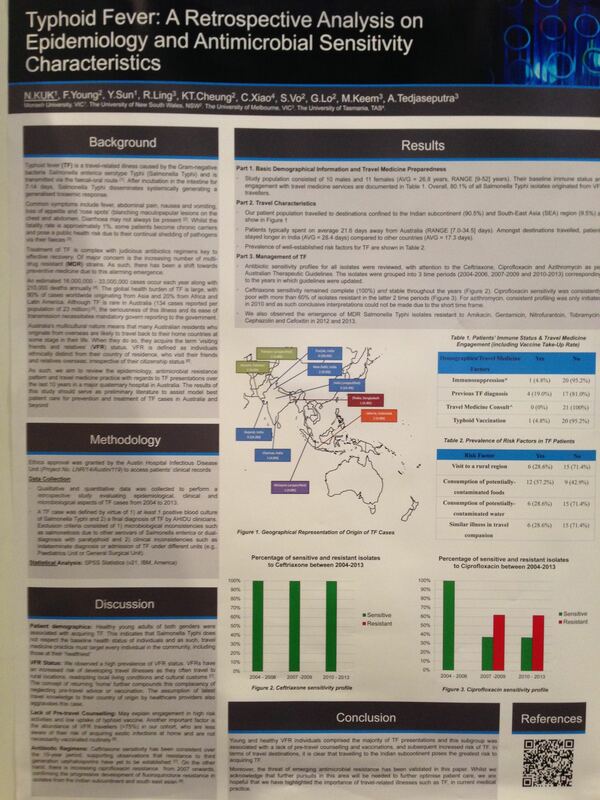 One of the posters at the 15th APCCMI – typhoid fever. 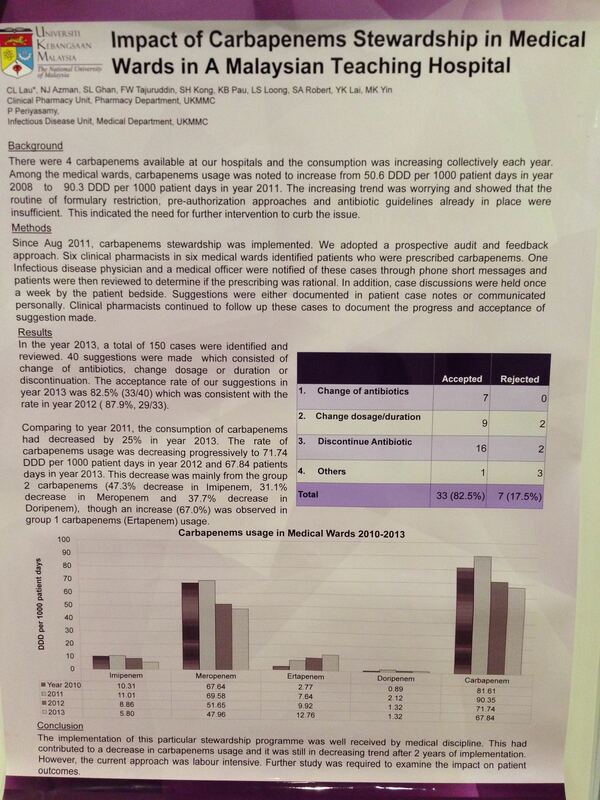 Another poster – presenting the work of a Malaysian carbapenem stewardship program. 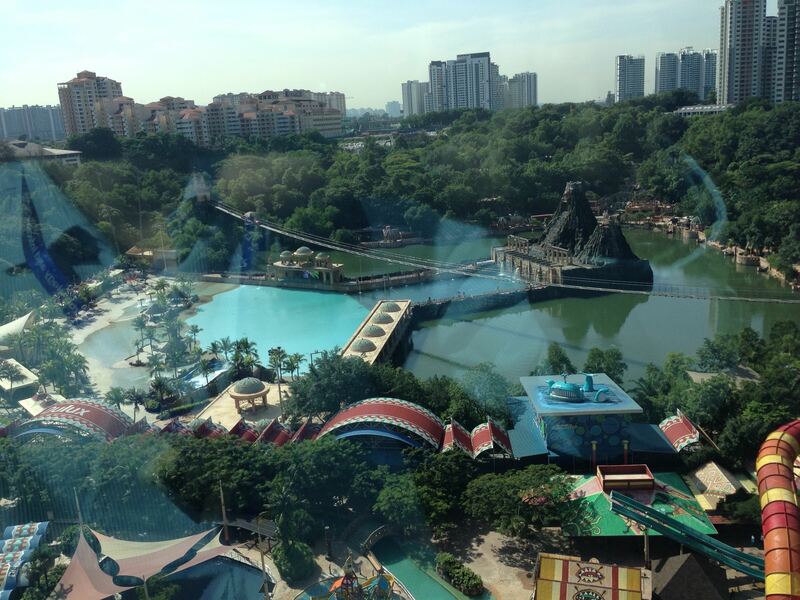 Previous Post Carlsen-Anand World Chess Championship: Game 11 and Match!